Home » News » Welcome, fall semester! The fall semester started up this week at UC Merced. It’s an exciting time on campus and in the lab- new classes, new undergrads, and new grad students! In particular, the Paleoecology Lab is very excited to welcome two new students to UC Merced! Robert Boria is starting his PhD in the Quantitative and Systems Biology Graduate Group. Robert obtained his masters degree at City College of New York working with Robert Anderson. 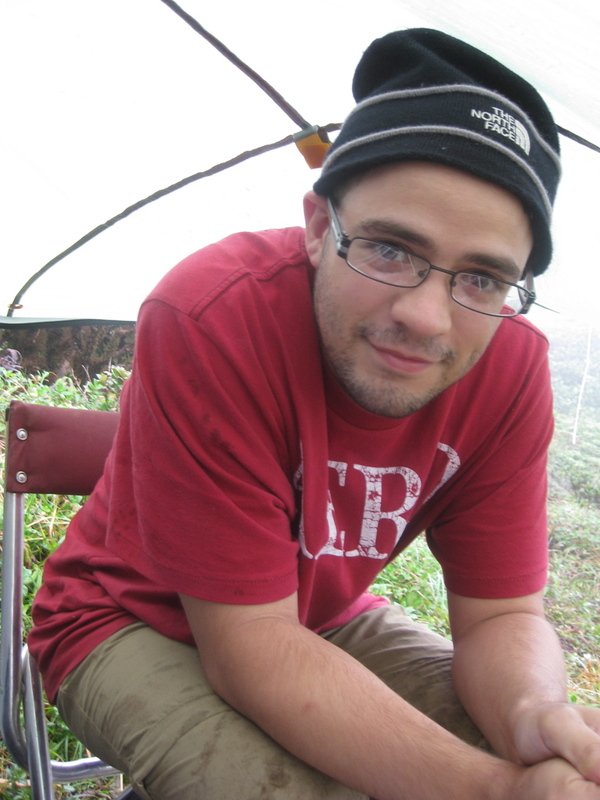 For his PhD, he is interested in understanding the genetic consequences of past climatic cycles. Our other new student is Nate Fox. Nate is starting his PhD in the Environmental Systems Graduate Group. Prior to moving to Merced, he worked as an environmental consultant in Wyoming after completing his Master’s degree at East Tennessee State University. 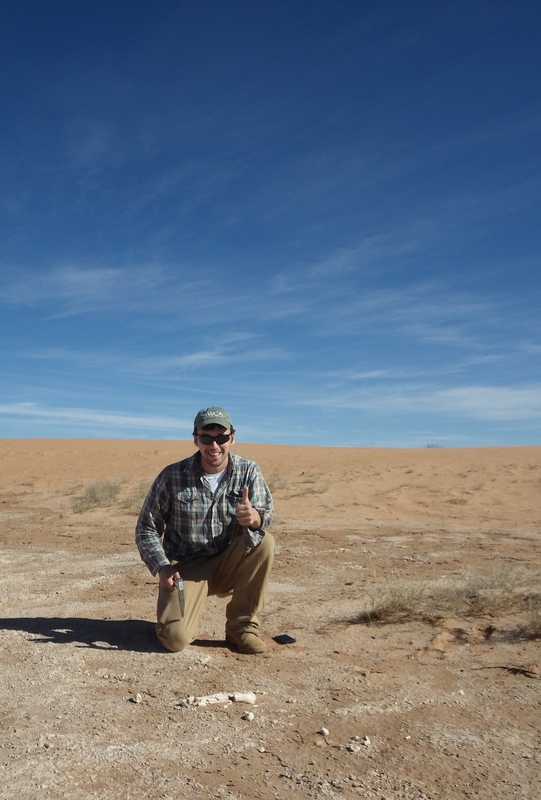 For his PhD, Nate will be using small mammal fossils and other types of fossil data to interpret late Pleistocene ecosystems. To kick off the semester, we just had our first lab meeting and went over semester goals and benchmarks. 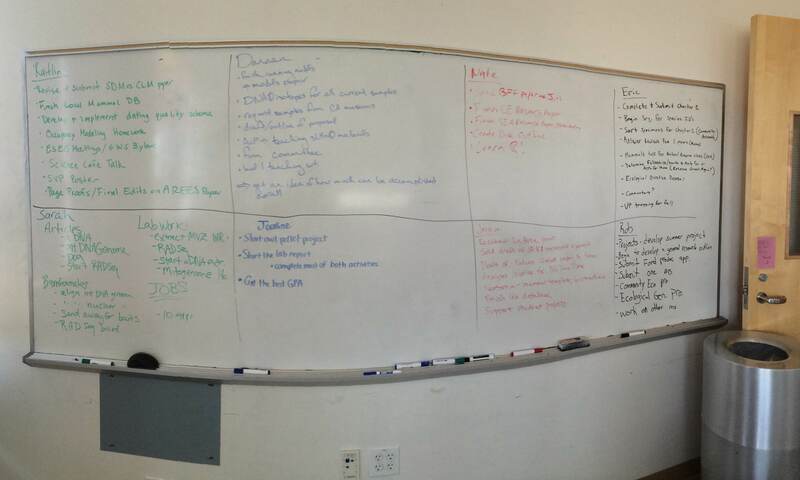 We took a look at a great blog post by my UC Merced colleague Tanya Boza on “Making a Semester Plan”, then put all our goals on the board. We all have an exciting and busy semester ahead of us! By jessicablois in News on August 28, 2015 .